When Tales of Ves­pe­ria was released in Japan for the PS3 back in 2009, fans assu­med that a Wes­tern release would fol­low not long after. 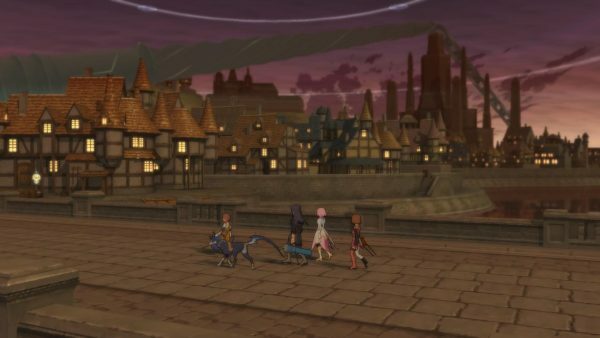 The 360 ver­si­on had just been released world­wi­de a few mon­ths pri­or, so it see­med likely that it wouldn’t take too long for us to be able to expe­ri­ence an updated ver­si­on of an alrea­dy gre­at JRPG. Well, here we are 10 years later, and for the most part this was worth the wait. If you ask someo­ne who’s play­ed Tales of Ves­pe­ria what their favou­rite aspect of the game is, it’s high­ly likely that they’ll men­ti­on the main cast of cha­rac­ters. 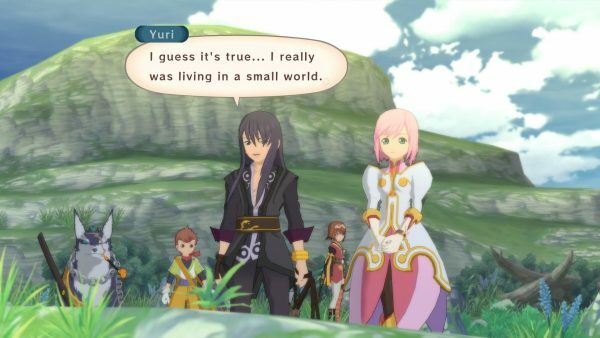 Yuri Lowell was a dif­fe­rent sort of JRPG prot­ago­nist 10 years ago, espe­ci­al­ly for the Tales series. He’s not afraid to break the law to get what he wants, and isn’t nai­ve when it comes to under­stand how the world works. That’s not to say that he doesn’t deve­lop as a cha­rac­ter during the sto­ry, but he’s still a breath of fresh air com­pa­red to the youn­ger and more gene­ric heroes of other games. As for the sto­ry, it does still fall back on some fami­li­ar tro­pes every now and then even with a uni­que prot­ago­nist and it’s not too long befo­re you end up having to save the world. Thank­ful­ly cha­rac­ter inter­ac­tions make up for any short­co­m­ing in the plot, as the rest of the play­a­ble cha­rac­ters have their own inte­res­ting back­sto­ries and rela­ti­ons­hips. Yuri’s fri­endship with the strai­ght-laced knight Flynn leads to some of the best sce­nes in the game, as they both have their own way of hand­ling situa­ti­ons. 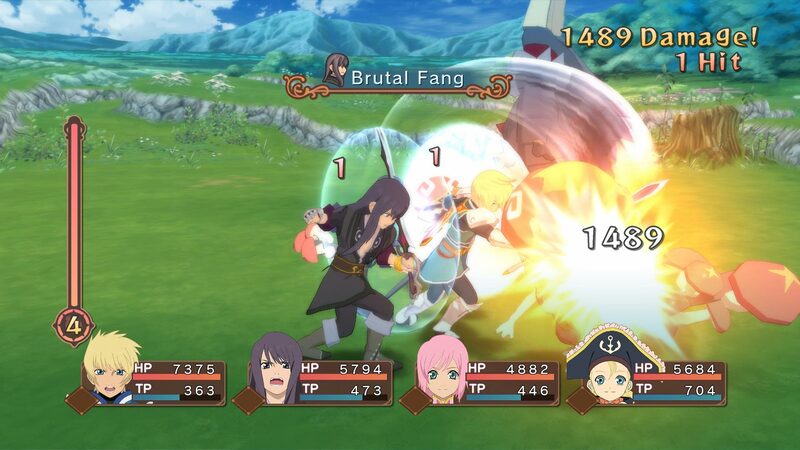 The Tales games have always been known for their real-time batt­le sys­tems, and Tales of Ves­pe­ria has one of the best in the series – once you’ve made it past the first few hours… Cha­rac­ters have access to a basic string of attacks that chan­ge depen­ding on the direc­tion your press, that can be chai­ned into spe­cial moves cal­led artes. Com­bat is initi­al­ly very basic and can feel clun­ky when you’re lacking most of each character’s move­set. This is made more appa­rent by some harsh boss fights ear­ly on. After a few hours you final­ly start to have a decent amount of moves at your dis­po­sal. Artes are lear­ned as you level up, but abi­li­ties such as back­da­shing and magic blo­cking are ins­tead lear­ned from wea­pons. It’s an inte­res­ting sys­tem that makes each new wea­pon feel uni­que, but it can be annoy­ing having to use wea­ker equip­ment just to learn a new abi­li­ty. It would have been bet­ter if you star­ted off with a few more abi­li­ties to keep ear­lier batt­les from being less fun. Of cour­se, for many the most inte­res­ting part of this re-release is the pre­vious­ly exclu­si­ve PS3 con­tent. From a sto­ry stand­point, the new cuts­ce­nes add some extra depth to the world of Ves­pe­ria and its cha­rac­ters. The­re is also a lot more voice acting com­pa­red to the 360 ver­si­on, inclu­ding ful­ly voi­ced main sce­nes and skits. Unfor­tu­n­a­te­ly not every voice actor made a return for the Defi­ni­ti­ve Edi­ti­on, most noti­ce­ab­ly Troy Baker who didn’t repri­se his role as Yuri. His repla­ce­ment is ser­vice­ab­le, but for some rea­son the old voice acting is still used in con­junc­tion with the new­ly voi­ced sce­nes. The­re are cha­rac­ters other than Yuri that chan­ged voice actors, but having the main character’s voice chan­ge drasti­cal­ly bet­ween sce­nes is incredi­b­ly jar­ring. It’s a shame sin­ce Ves­pe­ria had an excel­lent Eng­lish cast, but this chan­ge makes it har­der to recom­mend it over the more con­sis­tent Japa­ne­se audio. On a more posi­ti­ve note, Flynn and pira­te Pat­ty are gre­at addi­ti­ons to the play­a­ble cast and each have their own uni­que play­styles. Flynn was a cha­rac­ter that could only be used once during the ent­i­re­ty of Ves­pe­ria on 360, so final­ly being able to play him is an enjoy­a­ble expe­ri­ence. He’s easy to use from the start, and offers a mix of phy­si­cal and magic attacks that can lead to some inte­res­ting com­bos. Pat­ty ins­tead reli­es on a varie­ty of RNG based moves and honest­ly feels com­ple­te­ly dif­fe­rent to any other action RPG cha­rac­ter we’ve used befo­re. On top of the­se new play­a­ble cha­rac­ters, the remai­ning par­ty mem­bers have also recei­ved some new moves and tweaks to impro­ve the over­all balan­ce of the game, though some cha­rac­ters like Yuri will still feel very fami­li­ar. While the addi­tio­nal con­tent taken from the PS3 ver­si­on is most­ly gre­at, the PC port – and the over­all remas­ter – is a some­what mixed bag. Visual­ly, Tales of Ves­pe­ria: Defi­ni­ti­ve Edi­ti­on looks decent, main­ly thanks to the colour­ful cha­rac­ter models. Envi­ron­ments are far less impres­si­ve, having recei­ved litt­le or no tex­tu­re updates. Cuts­ce­nes also suf­fer from an ove­r­use of bloom and other effec­ts, some­thing that was also pre­sent in the ori­gi­nal release but is more noti­ce­ab­le here. Batt­les are still whe­re the game looks best, due to the smooth attack ani­ma­ti­ons and effec­ts though even here some enemies look a litt­le bland com­pa­red to modern RPGs. The big­gest pro­blem howe­ver is spe­ci­fic to the PC ver­si­on: micro stut­ter. Regard­less of how high your frame­ra­te is, or even if VSync is enab­led, the­re are noti­ce­ab­le stut­ters that hap­pen far too fre­quent­ly. This leads to the game’s frame­ra­te fee­ling incon­sis­tent, even when it’s run­ning at a con­stant 60 FPS. For some this may be a minor issue, but it can be very dis­trac­ting after play­ing for an hour or two. Revi­si­t­ing Tales of Ves­pe­ria after all the­se years has been an inte­res­ting expe­ri­ence. It’s still a gre­at JRPG, but cer­tain are­as of the game have star­ted to show their age, and the updated loca­li­sa­ti­on isn’t per­fect. Over­all though, this is a far more impres­si­ve remas­ter than Ban­dai Namco’s pre­vious attempt with Tales of Sym­pho­nia, and we can only hope that this is the first of many updated releases for the Tales series.